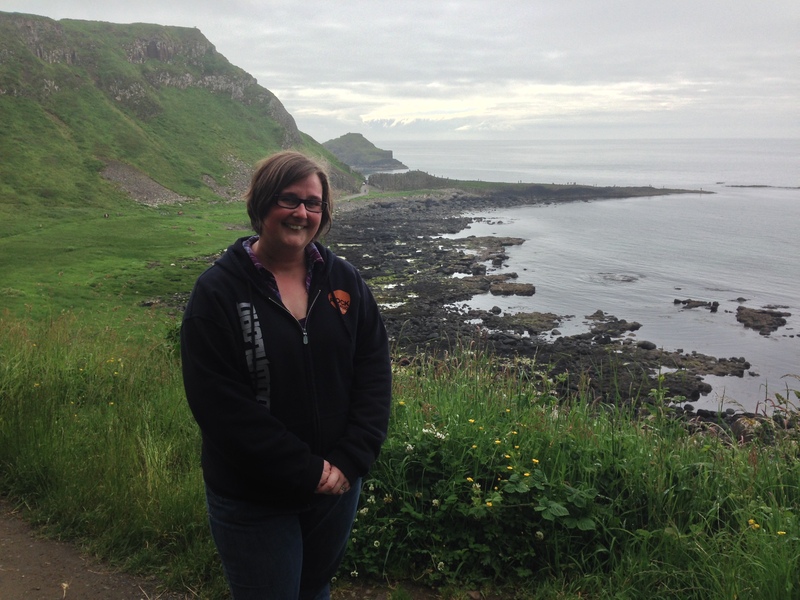 On our recent trip to Belfast we decided to forgo hiring a car and use public transport instead to get to the Giant’s Causeway. Since we were based in the centre of Belfast, this involved getting a train from Belfast Central to Coleraine and then a bus from Coleraine to the Giant’s Causeway – and all for the bargain price of £16.50 each! The journey took around 2 and a half hours (an hour and half on the train, half an hour waiting on the bus and then just under half an hour on the bus itself) so was longer than if we had driven but after seeing the bus driver careen around the narrow country roads, we were glad that we didn’t have to contend with that! We could just sit back and enjoy the scenery without having the stresses of driving on unfamiliar roads. Any romantic notion I may have had of standing on the Causeway and looking forlornly out over the sea were soon dashed when I realised that everyone else in Ireland had decided to visit on the same day. It was really busy but to be honest, this added to the atmosphere. Everyone was exploring together and were very polite about moving aside and letting each other pass or offering to take photos of couples/groups. We spent the next couple of hours clambering from rock to rock. If there are any 90s kids out there, I can only compare it to playing a real life game of Knightmare. You moved front and back, or side to side, hoping that you wouldn’t fall of the edge. I half expected to see Tregard, the Dungeon Master appear bellowing ‘Enter Stranger’! Knowing that I would be clambering over rocks and hiking up hills, I had worn my hiking boots and I was glad of the grip they offered. Not everyone seemed to be having the same problem though as I was passed by girls in flip flops and out-hiked by women in heeled boots. I don’t know how they do it! I’m such a rubbish girl. 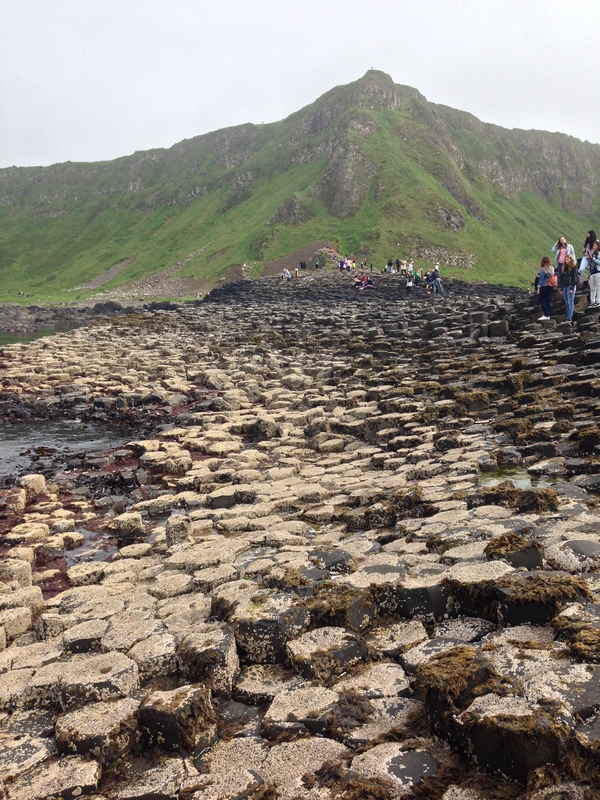 The Giant’s Causeway was on the Adventure list due to the myth behind this natural phenomenon. 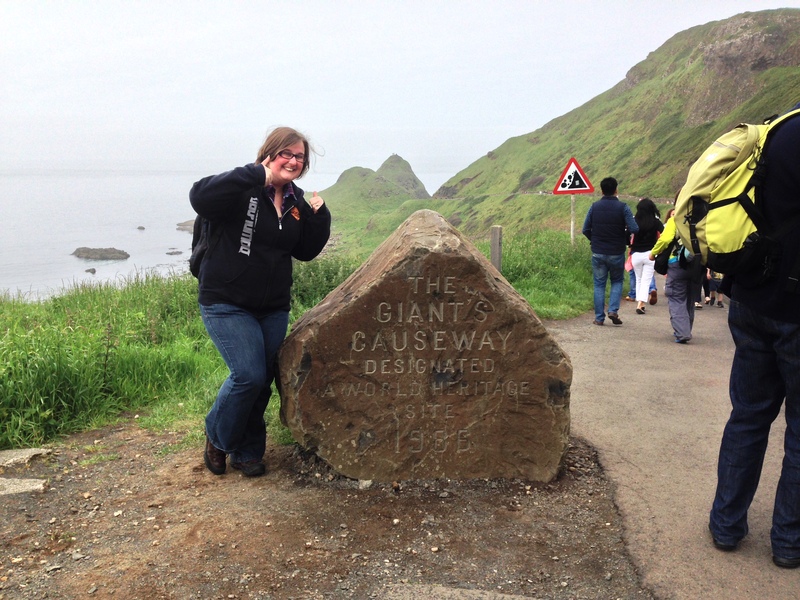 I love the idea that the causeway was built by the giant Finn MacCool (spelling differs depending on which variation of the legend you read) to reach over to Scotland to fight another giant, Benandonner. It harks back to the idea of there being a time when giants, fairies and other mythological creatures walked the earth. It’s magical. Eventually, the fog seemed to lift from over the edge of the cliffs and we were treated to the most beautiful view from our vantage point half way up a nearby cliff.